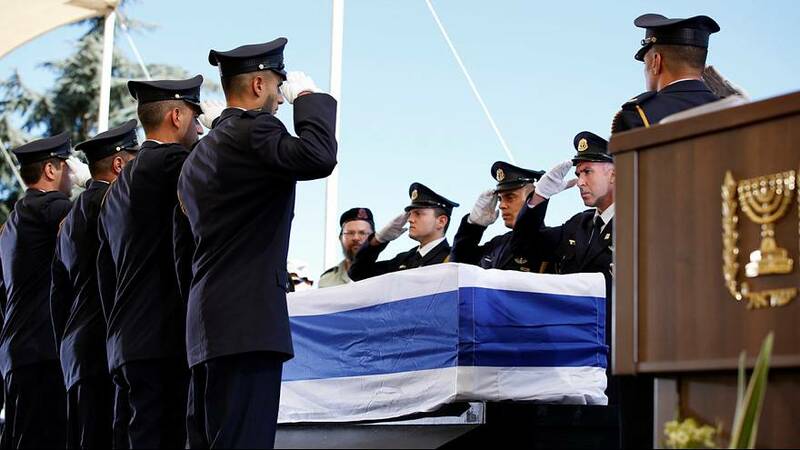 The state of Israel and leaders from around the world have paid tribute to former Israeli president and the last surviving member of Israel’s founding fathers, Shimon Peres. In an at times moving and emotional ceremony even for the impartial observer family members sat side by side with presidents and crown princes, political rivals spoke of their common beliefs, and enemies shook hands. Tears were shed, and smiles exchanged. “Shimon held the view that peace was the real security and that if there was peace, security would be the result. I told him that in the Middle East, security was the essential condition to get peace. And you know what conclusion I arrived at? As time went by, we were both right,” said Israeli Prime Minister Benjamin Netanyahu. The longest eulogy, a 20-minute speech, was delivered by the final guest, US President Barack Obama. Like Netanyahu, Obama did not shy away from making some political points. Peres was not universally loved in Israel despite his enormous contribution to the country, and had fierce critics, but few would deny him his place in history.